Designers and homeowners alike are being influenced by ocean hues and island living. It is quite common to see this type of design on the Coast or Islands, but more and more "inland" homes are creating their island oasis. And why not? Calm hues of turquoise, seashells and beachglass, palm tree and pineapple motif accessories, and anything relaying the message of "I'm relaxing with my tropical drink" are making its way into both the residential and commercial markets. The countertop industry is no exception. 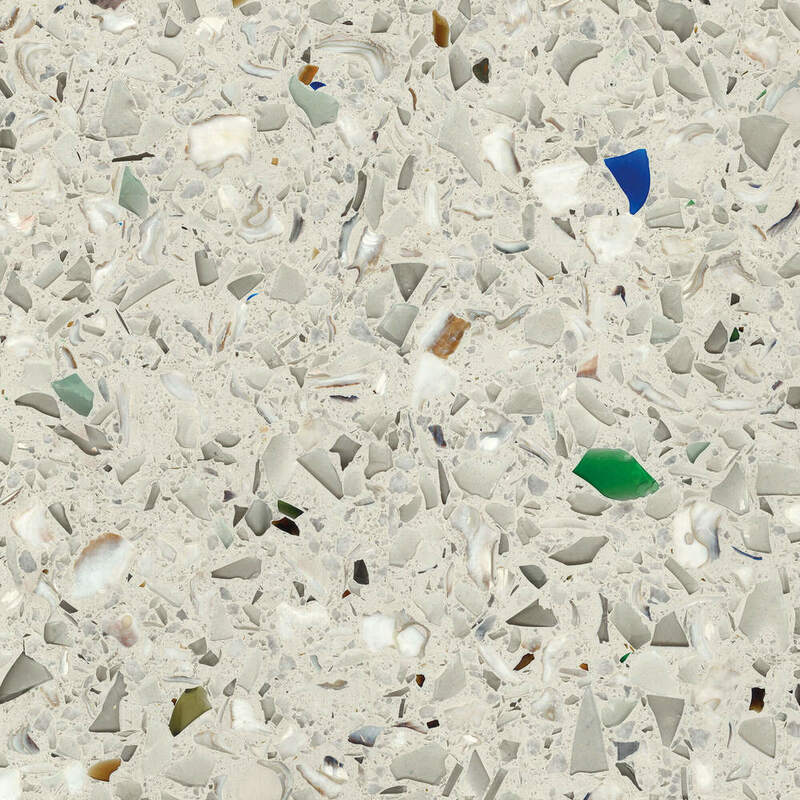 Years ago, recycled glass materials were introduced to our market for kitchen and bath countertops. These slabs, fabricated from recycled glass bottles and concrete, created works of art and became the "go-to" material for that beach cottage aesthetic. 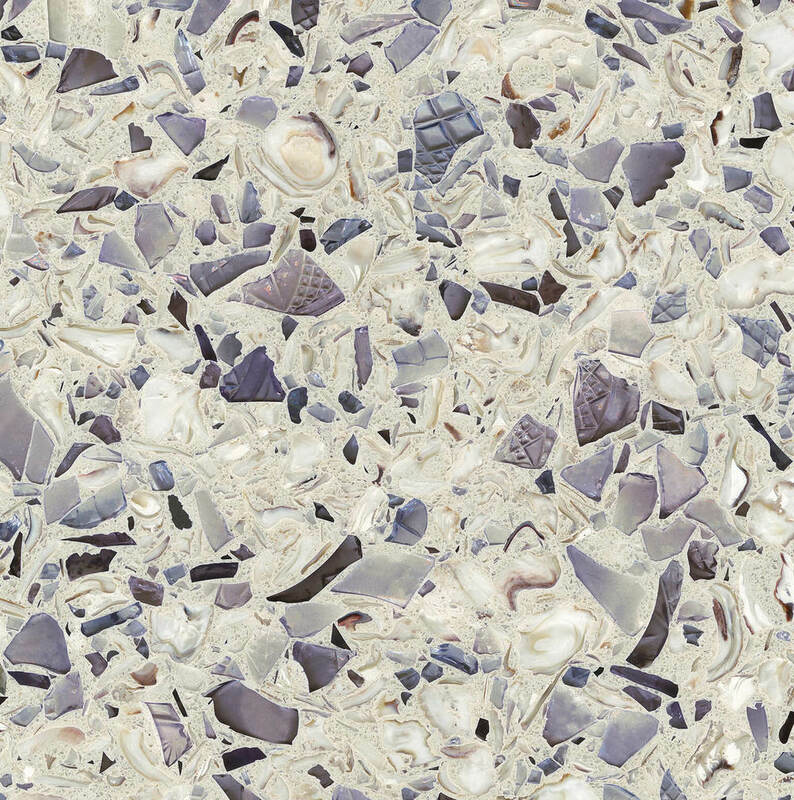 Although relatively still higher in cost than traditional countertop materials, it seems to be one of the few materials to capture the true essence of bringing the beach indoors. And it's making a comeback as one of the more popular materials being specified for new commercial spaces and residential remodeling. 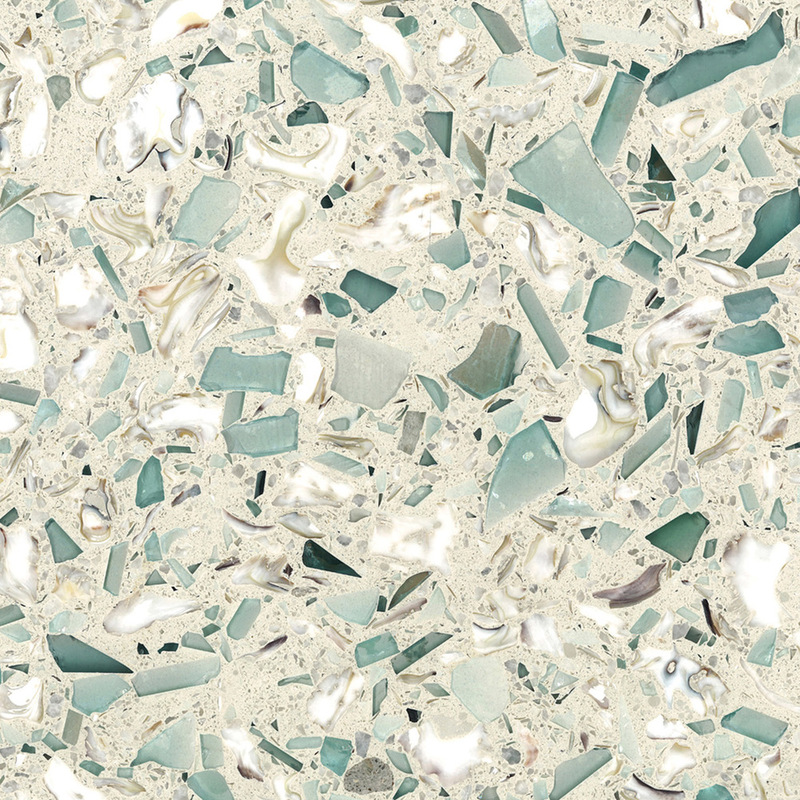 One of the most interesting offerings today comes from Vetrazzo and their "Sea and Sand" collection....Floating Blue with Sea Pearl and Emerald Coast are their top sellers in this series. Each slab is handcrafted and produced by hand (glass pieces are chosen carefully which makes each slab unique) and made to order. 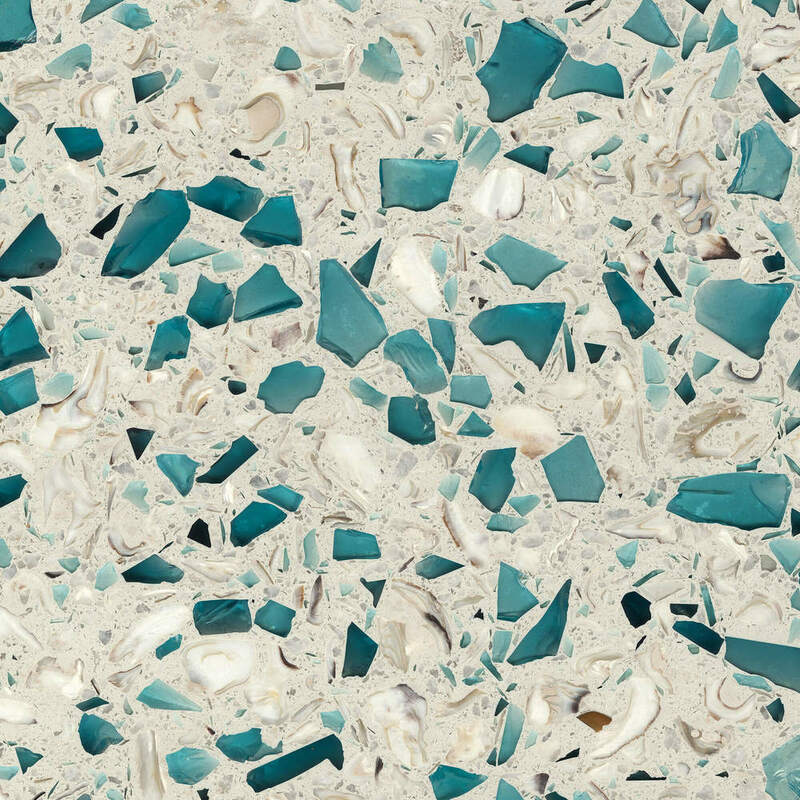 For more information on Vetrazzo and to specify it for your next countertop project, please contact us for an appointment.